The state of Georgia does require you to carry a Georgia SR22 Insurance if you are convicted of a DUI. While this will increase the cost of your insurance it doesn’t have to take much time and we can help search through all of our 50+ companies to find the cheapest Georgia SR22 Insurance rate. In order to get your license reinstated you will likely need to get a financial responsibility filing in Georgia; Select Insurance Group can help you with this! We can help you find the cheapest SR 22 insurance policy and it only takes a few minutes. How much is Georgia SR22 Insurance? The cost of a Georgia SR22 Insurance filing can vary with companies because each company rates your auto insurance differently. There is the cost to file the Georgia SR22 Insurance, which is approximately $25 but that is not the only additional cost for the filing. When you need to file a Georgia SR-22 it is often the result of a traffic violation such as driving under the influence or leaving the scene of an accident. These types of traffic violations can result in much higher auto insurance premiums. 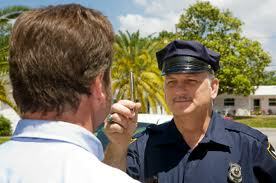 Expect to pay 40-70% more in auto insurance due to the result of a DUI or other similar offense. For a FREE QUOTE from one of our license Georgia SR22 Insurance specialists, call 855-438-7353 or CLICK HERE for instant quotes!